While some cats do enjoy the companionship of other cats, most tend to be loners at heart. 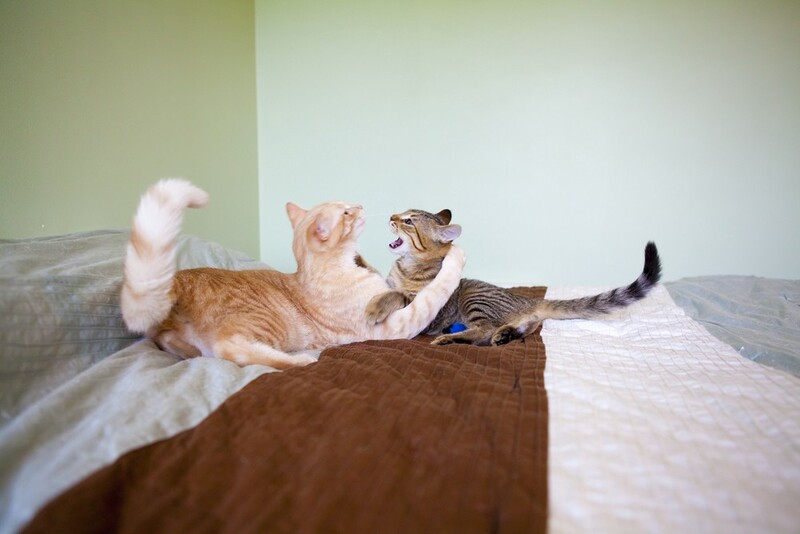 Aggression between cats at home is therefore a common problem for cat owners. 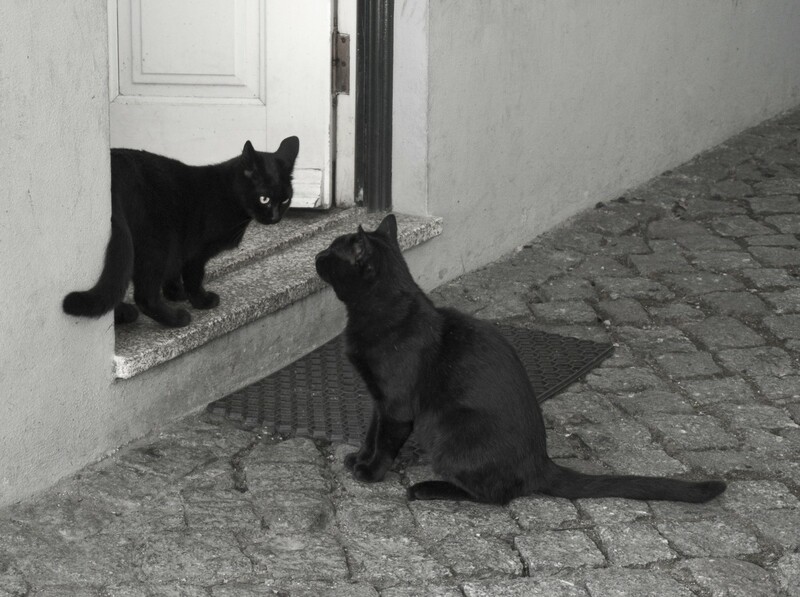 It can often be seen in cats newly introduced to each other but also between cats that have previously been friendly until an event has resulted in a problem in their relationship. Alexandra Beck, our technical expert, answers the questions commonly asked about cat rivalry and gives advice on how you as the owner can help to alleviate the problem. What is the best way to introduce a new kitten to a resident cat? The first meeting is essential to help them get along, and should be managed gradually. It’s advised to confine the new kitten (or adult cat if you adopt an adult!) to a room that has all of the essentials a cat needs such as a bed, water, food, litter tray, scratch post, toys, and FELIWAY CLASSIC. Whilst the new cat is restricted to one room, you can swap scents between the cats so they get used to each other’s scent before meeting for the first time. Scent swapping can be done either by exchanging the bedding or by you stroking one cat after the other. Another easy way is rubbing a cloth material on one cat’s cheek and placing the cloth with the other cat. The first meeting between the cats should be made under your supervision. You can use food as a reward during this time to make them both enjoy the experience. Each cat should be able to have an escape route if they do not feel happy. Using a FELIWAY CLASSIC diffuser during this first introduction is advised to help your cats feel safe and secure. This helps reduce the chance that they will view each other as a potential threat. Plug in the diffuser at least 24 hours before letting the cats meet and leave it for at least one month. Sometimes your cats may need longer to adjust, in which case you can use FELIWAY CLASSIC refills as long as needed. For optimum results, plug-in the FELIWAY CLASSIC Diffuser in the room your cats spend most of their time. If cats do not share the same living areas, this may require one FELIWAY CLASSIC diffuser in each area. Additionally, each cat should have access to their own essentials (separate food and water bowl, litter box, resting area, scratching area). My newly adopted cat is fighting with my resident cat — is there anything I can do to solve this? It’s possible that the introduction has been made too fast, and that your cats need more time to adjust to each other. You should also ensure that all essential resources are provided to each cat: this means that you should still have multiple resources (at least one per cat) spread in different locations in your home. This will help prevent competition for access. Feeding separately is also key so that your cats don’t feel like they are in competition for food. This can be easily achieved by feeding for one cat on the floor, and another cat in higher area such as on the kitchen counter. 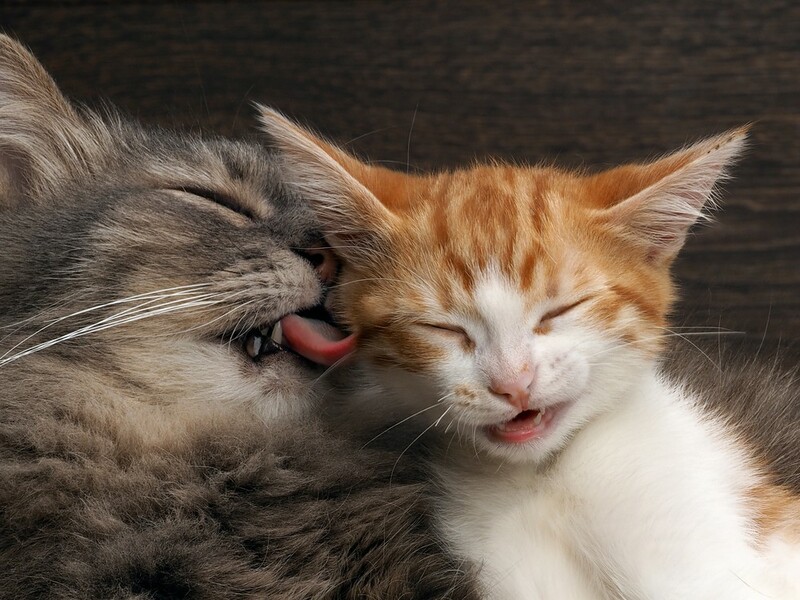 To encourage them to accept each other, you can also use “scent transfer”: by rubbing one cat from face to tail with a soft cloth or a brush, then the other cat, to mix their smells. Leave one cloth or brush with each cat, for example where they sleep. You may also place treats on the cloth or material that you share between them, to make it even more appealing. Introducing one cat to the other one can also be encouraged, using delectable food: this will distract them and positively reward them for sharing the space with each other. We want them to associate being together as a pleasant activity. It’s advised you’re always present to supervise their reactions, and interrupt if needed. My cat is fighting with a neighbours cat — how can I help calm the situation? Conflicts with neighbour cats outside your home can represent a major source of irritation for your cat. Especially if there are many cats in the neighbourhood! You may first try to identify who initiates the aggression. Especially if your cat is the aggressor and if he’s an intact male, you should consider neutering, to decrease the likelihood of conflicts. If you cannot keep your cat indoors, you should try to make your cat perceive your garden as safe as possible for him/her. For instance, if you observe that conflicts most frequently occur at certain times (since other cats are allowed to go outdoors only at certain times), you could try to adapt your cat’s schedule accordingly, to minimize interactions. When conflicts occur, do not intervene physically with your hands as you could be injured. However, you can try to interrupt the aggression by throwing a smooth object away from the cats to distract them. Within your home, you can also try to block window access to avoid the threat from viewing outside cats or being observed by them. Provide opportunities for your cat to rest in high (adding a shelf for example) to observe outdoor cats without being viewed! Moving food away from windows can be helpful as well as the outside cat may be attracted to the food. In addition, if your cat is frequently harassed by neighbor cats outdoors, consider plugging a FELIWAY CLASSIC diffuser where they spend most of time lounging: this will reinforce their perception of your home as a safe place by releasing comforting territorial pheromones. My cats, who have always been buddies, have started fighting. Why might this be and how can I help restore their friendship? First you need to make sure it’s real fight, and not play fighting, that can also be impressive! 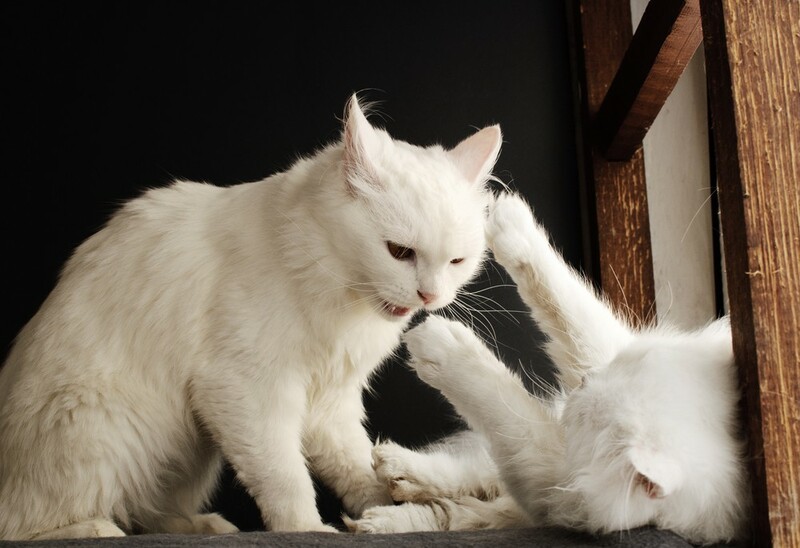 Play fighting is often silent (no hissing or screaming), with gentle biting without injuries or scratching with retracted claws. Sometimes real conflict between cats develops secondarily, which is even more surprising for the owners than when observed since the first meeting. Tension can occur suddenly or grow gradually (and sometimes without being clearly perceived and recognised as such by the cats themselves!). Usually, the reason behind the aggression needs to be identified. Make sure each cat still has access to their own resources and you have not changed anything in the home distribution (such as removing or displacing a litter box or a food bowl). Are their new neighbour cat outdoors who threaten your cats (at least one of them), leading to redirected aggression from one towards another due to arousal. Have any of your cats been brought to the vet recently? When back home, this cat may look strange to the resident cat (especially after an anaesthesia), or have an unpleasant smell. It’s recommended to plug a FELIWAY Multicat diffuser where you cats spend most of their time, for at least one month. We also recommend you to see and use our advice on how to make your home cat-friendly, to help stop potential conflict issues.